Hi everyone. I have time in my life now and thought I would return to writing articles. 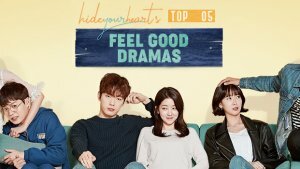 I’m going to write this time about some Korean Dramas that have just started airing and the dramas that will be airing in March. Yoo Jang Sang (Birth Secret, Unexpected You), Yoo Ho Jeong (Heaven’s Garden, Can Anyone Love), Go Ah Sung (God of Study, Beating Heart) and Lee Joon (Mr. Back, Gap Dong) are cast in the SBS drama, Heard it through the Grapevine which started on February 23rd. It is directed by An Pan Seok and written by Jung Sung Joo who also collaborated for Secret Love Affair. I haven’t started watching this drama yet. I have read mixed thoughts on this. It seems like it would be interesting. Ahn Jae Hyeon (You’re All Surrounded, You Who Came from the Stars), Goo Hye Sun (Angel Eyes, Boys Over Flowers), and Ji Jin Hee (One Warm Word, The Great Seer) are cast in KBS2 drama Blood, which started February 16. It is directed by Ki Min Soo who also directed Good Doctor and Ojakgyo Brothers. It is written by Park Jae Bum who wrote the the God’s Quiz series. They also collaborated on Good Doctor. Park Ji Sang (Ahn Jae Hyeon) is a vampire doctor at a cancer research hospital who specializes in hepato-pancreato-biliary surgery. He suppresses his thirst for blood to treat terminally ill patients. From childhood Ji Sang wants to be close to people, but he comes across as a cold person to others. Yoo Ri Ta (Goo Hye Sun) entered medical school at the age of 17. She is a talented physician and the niece of the chaebol group chairman who owns the hospital. Ji Sang finds himself falling in love with Ri Ta. Lee Jae Wook (Ji Jin Hee) is a hospital chief beloved by everyone because he is good natured, but really he is dangerous and has evil intentions. Ji Sang finds himself in a good versus evil battle with Jae Wook. 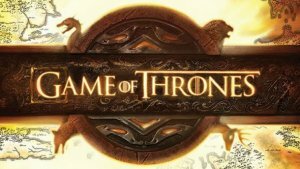 Don’t let what I’m about to write sway your opinion on watching this drama. I will just be honest with you. I love all things vampire related and most of the cast is appealing to me (I love Ji Jin Hee). However, I am not a fan of Goo Hye Sun. I suffered through BOF and Angel Eyes, but I can’t force myself to watch this. I watched two episodes and dropped it. Kim Hye Ja (I Live in Cheongdam-dong, Mom Has Grown Horns), Chae Si Ra (Five Fingers, Queen Insoo), Do Ji Won (Golden Rainbow, Pure Love), and Lee Ha Na (Triple, Women of the Sun) are cast in the KBS2 drama, Unkind Women, which started on February 25th. The writer is Kim In Young who wrote When a Man's in Love and The Equator Man. The director is Yoo Hyun Ki who directed Brain and God of Study. Song Jae Rim (Surplus Princess, Inspiring Generation) and Kim Ji Suk (Angel Eyes, Wonderful Mama) are also in this drama. Kang Sun Ok (Kim Hye Ja) is famous for her cooking class teaching style where she uses harsh language and criticizes the charabol daughter-in-laws. She is married to the only son from a rich family and has two daughters. Her husband had an affair so she has been lonely for a while. Her oldest daughter is Kim Hyeon Jeong (Do Ji Won), an anchorwoman at a broadcasting corporation who has become a role model for female university students. Outwardly Hyeon Jeong is confident, warm-hearted, and considerate, but inside she feels a lot of pressure from the young up-and coming-women that causes her to hate them. Sun Ok’s second daughter is Kim Hyeon Suk (Cha Si Ra), who has an inferiority complex from being compared to her smart older sister and her grandmother’s wish that she was male. She is very honest and displays her emotions on her face. She immerses herself in dramas, exercises a lot and cares a lot about her hair, make-up and clothes. Hyeon Suk taught her daughter, Jeong Ma Ri (Lee Ha Na), to study hard so that she won't be treated like she was treated. Because of this Ma Ri never failed, from entering a foreign language high school to earning a doctorate degree. Ma Ri has always done what is expected of her, but isn’t sure this makes her happy. Due to a case, she goes through a difficult time and begins searching for herself. I’m unsure if I want to watch this. The writer wrote one drama that I enjoyed and one that I did not. I thought Equator Man was excellent, but When a Man Loves wasn’t that great (of course that was partially because of Shin Se Kyung). I love Kim Ji Suk and I’m thinking about watching this for him alone. Kim Sung Ryoung (Cheongdamdong Scandal, The Heirs), Lee Jong Hyuk (Dating Agency: Cyrano, A Gentleman’s Dignity), Lee Sung Kyung (It’s Okay, That’s Love), and Yoon Park (What Happens to My Family?, Good Doctor) are cast in the MBC drama, Flower of the Queen. It begins on March 14th after Legendary Witch concludes. The director is Lee Dae Young who directed Golden Fish and Give Me Food. The writer is Park Hyeon Ju who also wrote Wonderful Mama and Hooray For Love. Rena Jung (Kim Sung Ryoung) hosts her own cooking show as a star chef. She gave up her daughter Kang Yi Sol (Lee Sung Kyung) for her ambition, but her daughter comes back to confront her. She is married to Park Min Joon (Lee Jong Hyuk), the heir to Eden Group, a food enterprise. Park Jae Joon (Yoon Park) is Min Joon’s younger brother and also attracted to Yi Sol. I’m not sure if I’m going to watch this. It seems interesting, but there isn’t much information available and I’m not sure I can handle the abandoned child aspect. 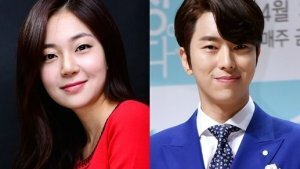 Cho Yeo Jeong (Haeundae Lovers, I Need Romance) and Yun Woo Jin (Marriage, Not Dating, When a Man Loves) star in SBS’s drama, Divorce Lawyer in Love. It starts on March 14th after The Family is Coming ends. The director is Park Yong Soon who directed 49 Days. The writer is Kim A Jung, a new screenwriter, winner of an open script writing competition at SBS. Ko Cheok Hee (Cho Yeo Jeong) is a unscrupulous divorce lawyer who will stop at nothing to win her cases. She treats everyone around her horribly, especially her office manager, So Jung Woo (Yun Woo Jin). Jung Woo isn’t very nice either as he likes to point out Cheok Hee’s mistakes to her face even though she is his boss. They part ways because they can’t stand to work together. Years later, Jung Woo has gone to law school and become a divorce lawyer himself. He meets Cheok Hee again. Her law license has been suspended due to misconduct and so she becomes the office manger at a his new firm. He makes her suffer like she made him in the past. They both are cynical about love due to their professions, but arguing may still lead to love in this rom/com. I’m not really into romantic comedies, but I like the actors. I’m not really into the "arguing until we love each other" plots. This is on my maybe list. Kim Kang Woo (Golden Cross, Haeundae Lovers), Park Hee Soon (All About My Romance), and Jo Bo Ah (Surplus Princess, Horse Doctor) are cast in the new OCN drama, Missing Noir M. The directors are Lee Seung Young who directed the Team 10 series and Kim Gun Hong. 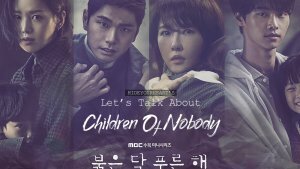 The writer is Lee Yoo Jin. Kang Ha Neul (Incomplete Life, Monstar) will make a guest appearance in the first two episodes. Gil Soo Hyun (Kim Kang Woo) is an extremely intelligent person who entered Harvard University at age 10, then worked for the FBI. A mystery has brought him back to South Korea and now he leads a task force that specializes in the hardest missing persons cases involving violent crime. Oh Dae Young (Park Hee Soon) is a veteran detective of 20 years who joins the task force. Where Soo Hyun is an elite genius over-analyzer, Dae Young uses his gut and is driven by a strong sense of justice. Their relationship will be antagonistic one that will lead to bonding. Jin Seo Jun (Jo Bo Ah) is a hacker with the team. I am definitely watching this. Kim Kang Woo is one of my favorite actors. I like his manner of speaking. I also think this will be interesting although I haven’t watched the Team 10 series. No Min Woo (Best Wedding, Full House Take 2) and Yang Jin Sung (Bride of the Century) star in MBC’s drama, My Unfortunate Boyfriend starting March 31st. The director is Nam Ki Hoon. The writer is Lee Jae Yoon who also wrote Tamra, the Island. Yoo Ji Na (Yang Jin Sung) is an ambitious woman who will do whatever it takes to get what she wants—even lie. Her unfortunate boyfriend is Yoo Tae Woon (No Min Woo), a man that believes honesty is the best policy. This is the love story of two people who have different views of the world. I will at least watch the first few episodes to check this out. Do any of these airing and upcoming dramas and movies look interesting to you?